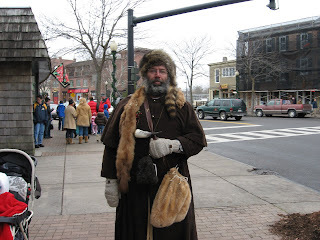 Here's some other pictures of the characters we saw yesterday in Skaneateles. Top picture is of Patchwork Plus, Rt. 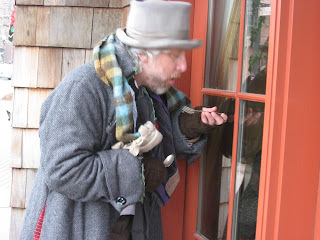 20 east of Skaneateles about 4 miles, a poor man holding a spoon to the restaurant window begging for food, a handsome older man we met on the street, strolling trio, another man seen on the street. It was a great trip to Skaneateles. First we stopped at Patchwork Plus where I found the new book Loose Change by Claudia Plett and Le Ann Weaver. It just had to come home with me. Also purchased some FQs of black & whites and thread. 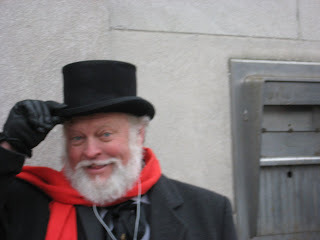 Because Mickey had gone to the Skaneateles Chamber of Commerce site and found there would be a truck convoy thru the town comng from Auburn about noon, we were prepared for a bigger crowd than usual. The truckers were protesting some legislation prohibiting truck travel on some of the area roads. Because of the large crowd of people finding a parking place was more difficult than usual. We went to Blue Water Grill for lunch and watched the convoy pass on Rt. 20 as we ate. When we left the crowds had diminished so we could shop. The weather was good until we left. It snowed and then rained as we traveled back down Rt. 41 to Homer. 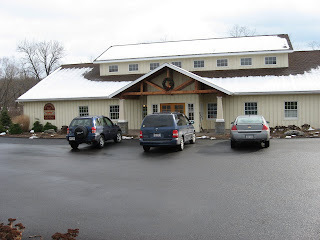 We stopped at JoAnne Fabrics in Cortland. Snow and rain accompanied us down to the Marathon area. Then we had dry roads the rest of the way home. A shopping tip....wear comfortable underwear and shoes. Clean non-essentials from your purse to lighten your load. It was a great day. 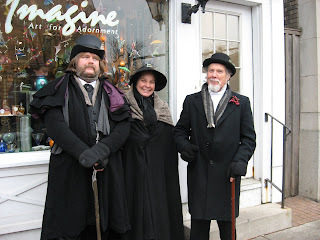 I've never kept count of the number of Black Fridays Mickey and I have gone to Skaneateles to enjoy their Dickens Christmas.